Under President Obama, Ohio is not better off. His failed economic and trade policies with China have destroyed thousands of jobs. Mitt Romney will stand up to China and create over 450,000 new jobs here in Ohio. And you know I watched in horror as we saw the Italians and the French and the Spanish and the Greeks have their credit downgrade. And I remember the night I watched America’s credit go downgraded. But in Ohio instead of our credit going down the drain our credit outlook has been improved because it’s been recognized that we are managing our finances and creating jobs.But, ladies and gentlemen, when over those last four years we had lost 400,000 jobs; in Ohio today, we have grown new jobs by 122,000. 122,000 thousand families better off. (Applause) But you know what? The wind is in our face. The President has given us head winds. President Obama has doubled the national debt. I was chairman of the Budget Committee when we balanced the budget in ’97. And I looked with horror up at that clock that shows $15 trillion dollars in the national debt. That’s the sword of Damocles hanging over our children’s head. And the President is doing nothing about it. In fact, each year, he’s increasing that by $1 trillion dollars, $1 trillion dollars. Romney has to tell a lie about Ohio because he is trying to get hired to fix things even as the President’s policies are making things better everyday. Gov. 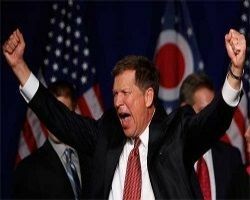 Kasich has to fib by claiming President Obama is hurting Ohio but not enough to make Kasich look bad. Absent from Kasich’s speech was any mention of Obama’s auto bailout, popular in a state where auto industry jobs employ thousands. Some of the jobs improvement has come from the recovering auto sector. 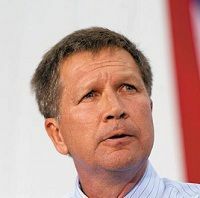 It was a familiar tightrope act for Kasich, who must persuade Ohio voters to cast ballots against Obama even as the state’s economy continues to improve in part thanks to initiatives like the bailout. And the Washington Post gave Kasich three Pinocchios for his whopper in the speech about being chairman of the Budget Committee when the budget was balanced in 1997. The fact is the President’s policies actually helped Ohio add jobs since the 2008 melt down and most of that was saving the auto industry. The same industry Romney wanted to go bankrupt. Romney blaming the economy on China is ironic since he made money from investments with the Chinese. Don’t worry. 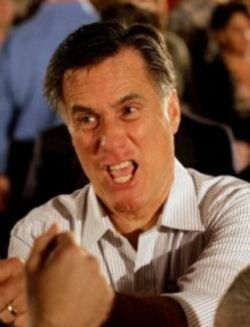 I think Romney is saving his ad dollars for the late campaign period starting in October. If that does happen I may need to turn off my TV or DVR everything to skip all the ads.